Though eight-year-old Aidan and his friend Gussie want to go to school, like many other children in 1903, they work twelve hours, six days a week, at a cotton mill in Pennsylvania instead. So when the millworkers decide to go on strike, the two friends join the picket line. Maybe now life will change for them. But when a famous labor reformer named Mother Jones comes to hear of the millworkers' demands, she tells them they need to do more than just strike. Troubled by all she had seen, Mother Jones wanted to end child labor. But what could she do? 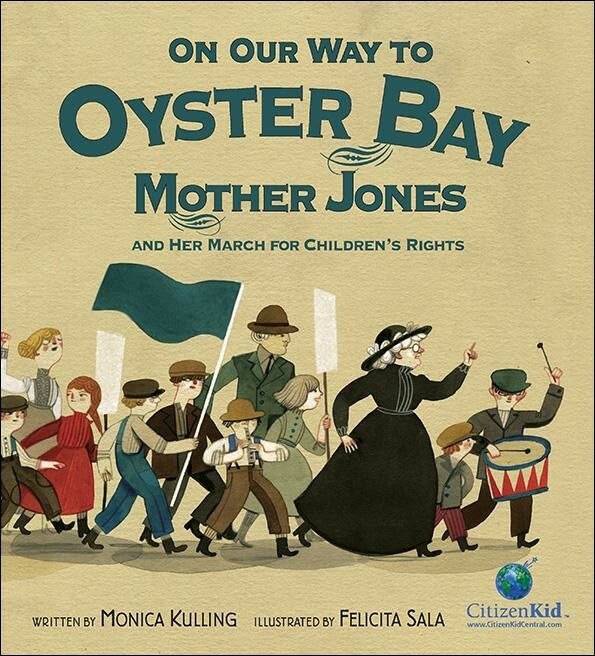 Why, organize a children's march and bring the message right to President Theodore Roosevelt at his summer home in Oyster Bay, of course! 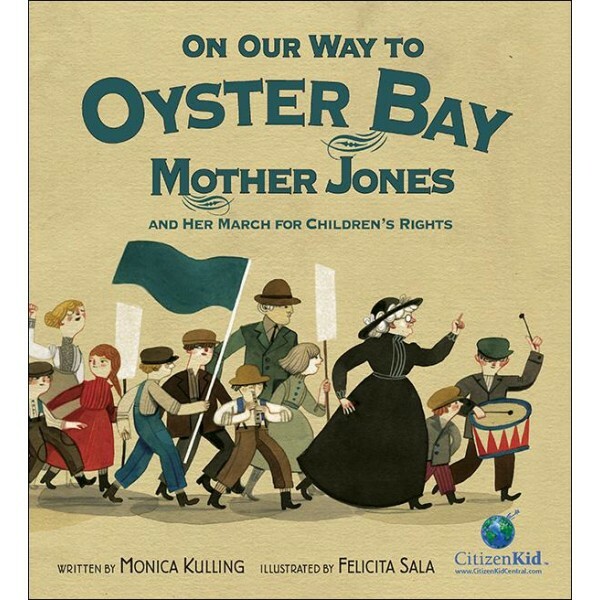 Written by Monica Kulling, with vibrant illustrations by Felicita Sala, this nonfiction picture book uses an entertaining story about fictitious characters to bring a real event in history to vivid life.